HEY! hi. I’m still here. What’s happening? How are yas? 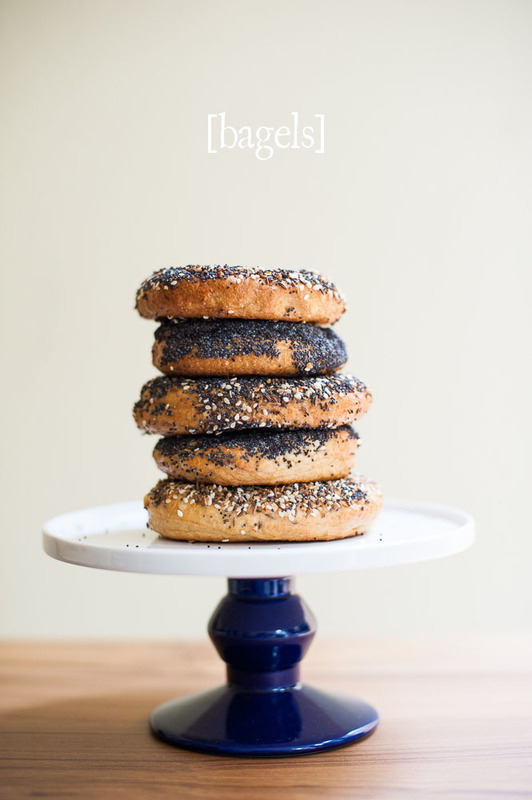 This weekend though… this weekend my jazzy lady friend, Sam, & I made Bagels. Get. Excited. Lord knows I was. I have never made anything that brought me so much joy when it worked out. Oh my good god this was exciting. These were Montreal Style bagels, boiled in honey sweetened water and baked to perfection. And I do mean that. They were perfect. 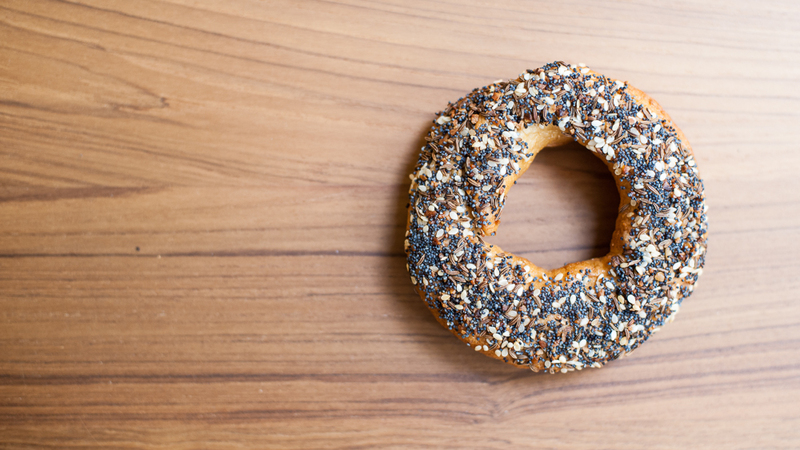 What ever you like, I usedCaraway seeds, garlic flakes, sesame seeds, poppy seeds & salt for my everything bagels. 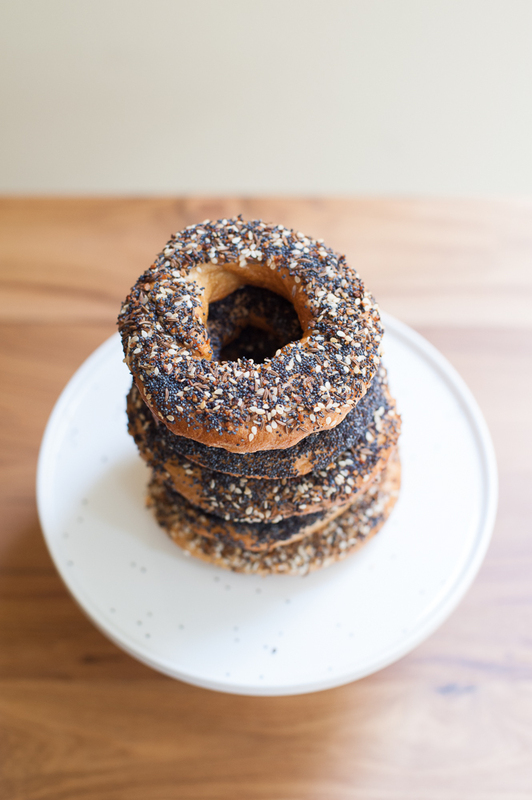 I also made some with just poppy seeds. In a large bowl, stir together the warm water and the packet of yeast. Cover and allow to sit for about 5 minutes while the yeast activates. Add the sugar, salt, & oil into the yeast mixture and whisk until combined. Now add 1 c. of flour into the mixture and stir until combined. Slowly add the reamining cups of flour and mix until mostly combined. The mixture might not be holding together too well, but that is a-ok. Dump the dough onto a floured surface and start kneading for 10 minutes. The dough should feel start to feel elastic and smooth. Allow the dough to rise for thiry minutes, covered. NOW! Slice the dough into 16-18 equal parts and roll each to create lengths of about 6-8 inches. Form each length into a cirle and squeeze the dough together to secure. Set each circle aside and allow them to rise for another 20 minutes. While they are rising, bring a large pot of water to a boil and dissolve your honey and baking soda. After the mixture is boiling, reduce it to a simmer. You should probably preheat the oven at this time to 475*F.
Add the bagels to the water two at a time and let them cook for 1 minute per side. 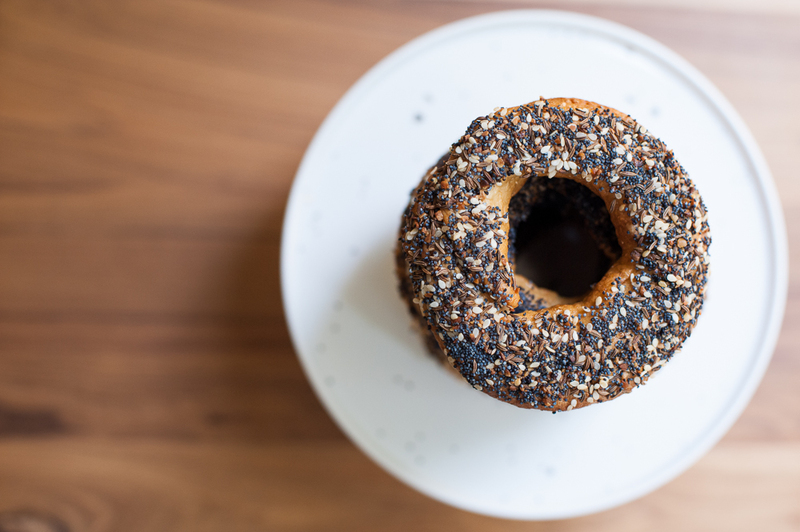 Now, you can drop each bagel in your bowl of toppings and coat one side. 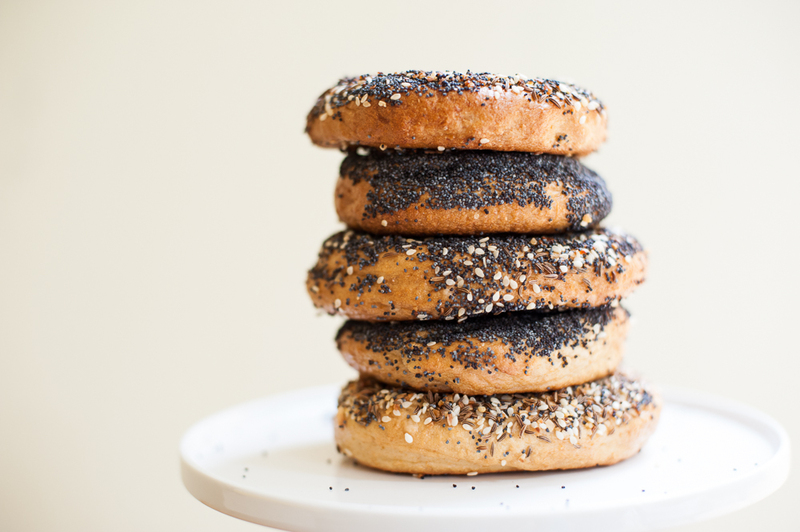 Place each coated bagel on a baking sheet. Once you have boiled each bagel, bake them at 475*F for 10 minutes and then flip them and bake for 5 more minutes. The colour should be very rich and golden. Careful not to let the seeds burn. No need to let them cool (much). Eat them warm… they are amazing. If I was home right now in Canada, I would probably make these for Father’s Day. Since my Dad is so Rad. It rhymes and therefore it is true. 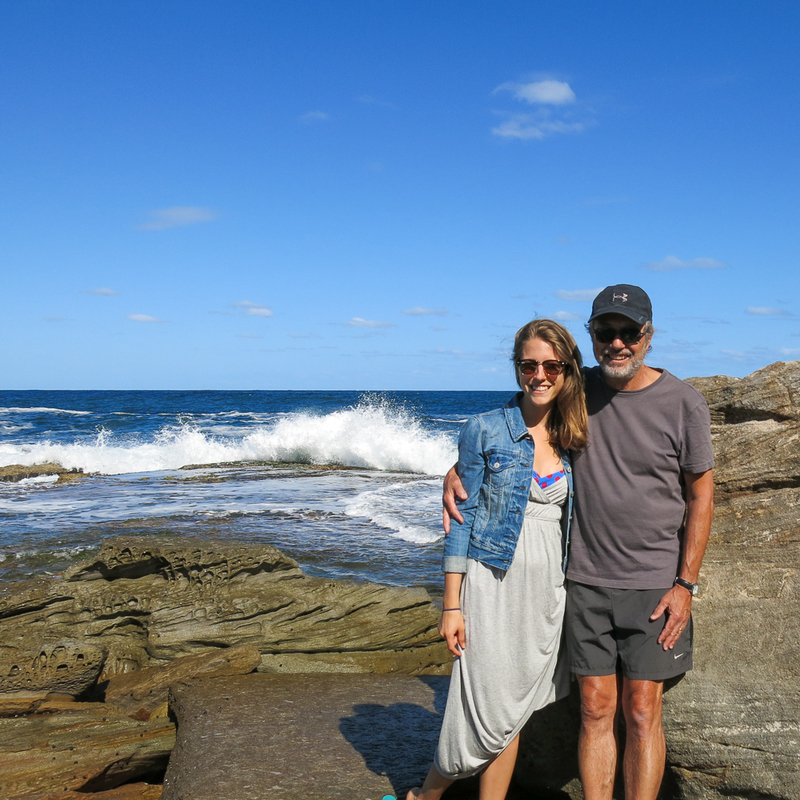 Now here are some pics of when my parents were in Australia. This first one just makes me laugh cause it’s a selfie which I think is awesome. 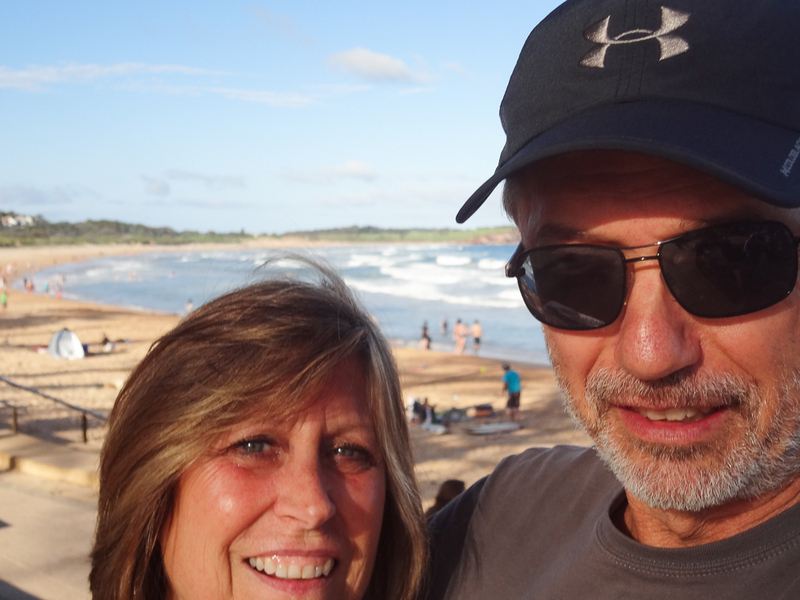 And I mean… how many of us have taken the accidentally zoomed in selfie? Everyone, don’t lie. Priceless. 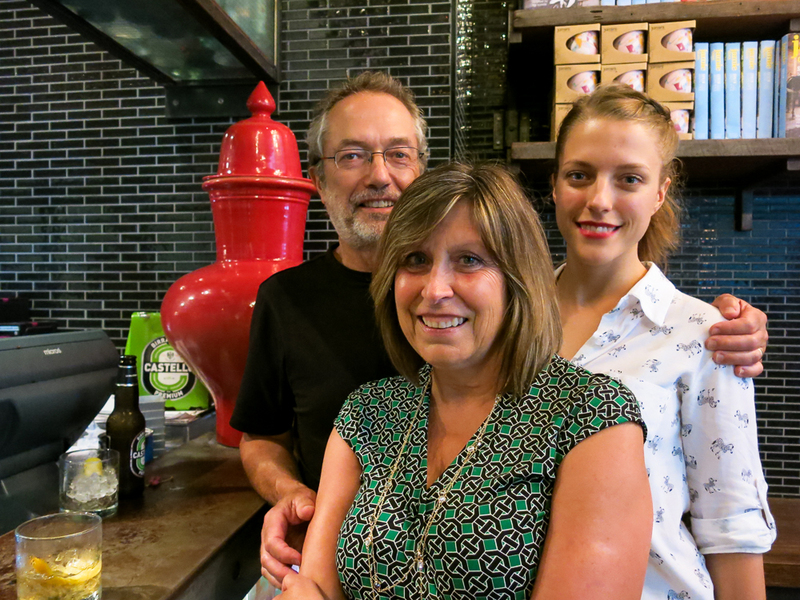 This second one is us havin a fam-din at Jamie’s Italian! aka the best place to eat EVA. Have a lovely day all you Dads. Much love to my Grandpa too. Oh wonderful – so many delicious seeds. These look amazing!